Trick-or-Treating on Embassy Row is a tradition embraced by AU’s globally-minded students. Where else but DC can you visit 20+ countries in a matter of hours dressed as David S. Pumpkins and his dancing skeleton sidekicks, one of the 2016 presidential candidates, or your favorite book/movie/TV character, superhero, or supernatural evil entity? But not all Embassies open their doors to trick-or-treaters. To make the most of your Embassy Row Halloween experience, here are some of the Embassies that are likely/unlikely to roll out the welcome mat for you and your friends during their normal business hours on Monday, October 31. Editor’s note: This is only a partial list based on information gathered online and through outreach to the Embassies for Halloween 2015. Embassies that are not mentioned below may or may not be participating. Most Embassies are open between 9 a.m. and 5 p.m., with an hour break around lunch/early afternoon. For more information on individual Embassy operating hours, check their websites or their Facebook pages. The Korean Cultural Center. At this Embassy's annual Halloween-themed event in recent years past, costumed candy-collectors could enter the Embassy to immerse themselves in Korean Culture and pose for photos. The Embassy of Portugal. 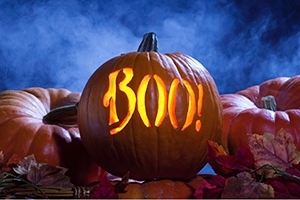 When asked about Halloween 2015, the embassy enthusiastically replied that it participates every year. The Embassy of Finland. Last year, aside from shelling out sweets, they took photos of costumed visitors of all ages to be shared on the Embassy’s social media feeds. Advice: Try them on Monday during business hours when you’re visiting the Korean Cultural Center, the the Embassy of Portugal, and the Embassy of Finland. Advice: When you are out and about on Monday at the other Embassies (those listed above that are most likely or likely participating), see if you notice other trick-or-treaters approaching these Embassies and being welcomed. They may have changed their minds since last year.